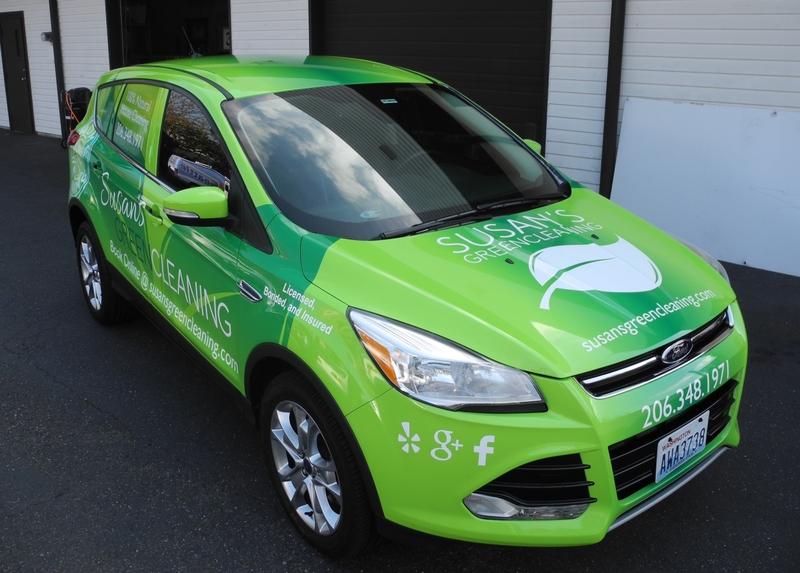 Done for a customer wanting to advertise her cleaning business. 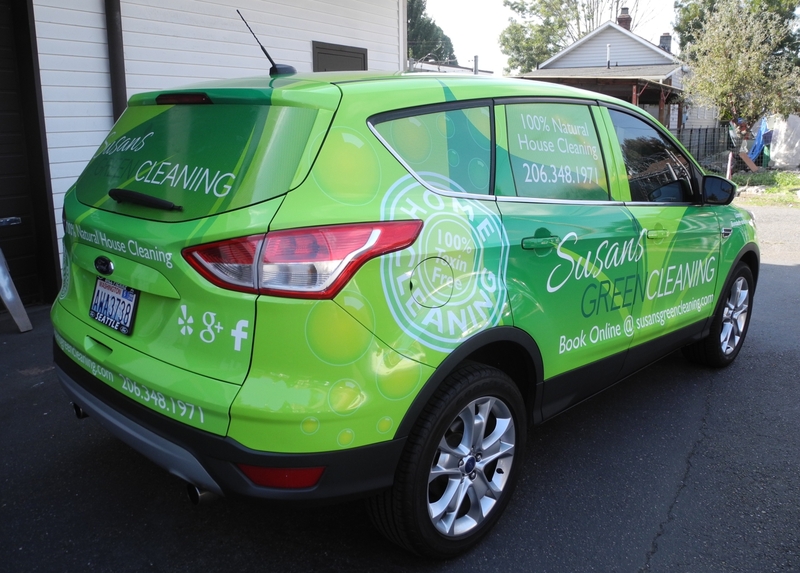 The only provided asset was her logo (seen on the side). 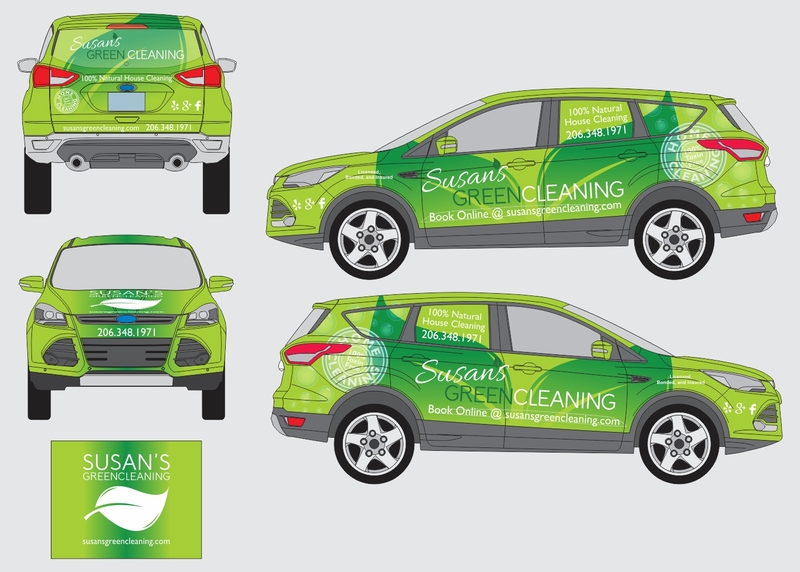 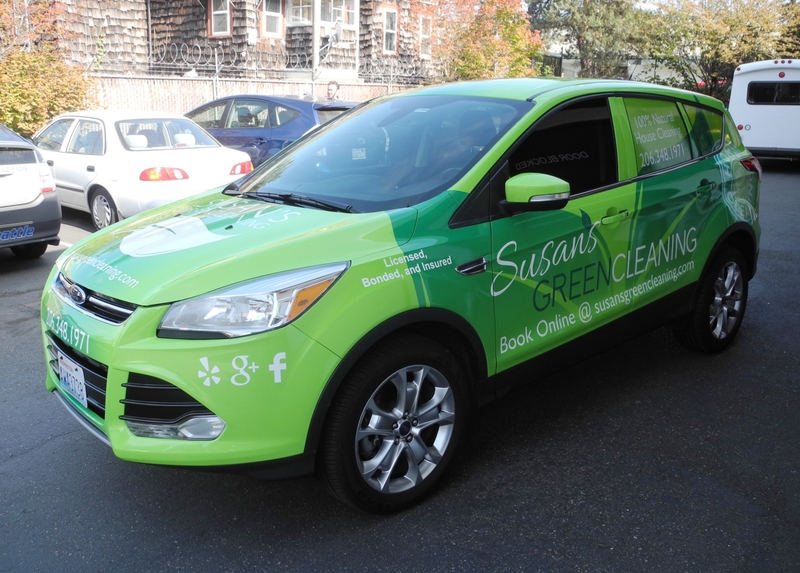 The apostrophe in her logo was a leaf, so I used that as the main element throughout the vehicle.